Camera stopped working how recovering telnet? But I for some concern with it : ir LED flashing in red constantly night Consequently an image which also flashes . Then the PTZ function that no longer works , you can not start a movement by the interface without the camera does plant. So I wanted to inject a new firmware from another camera hi3510 but I eventually bricked the camera. So I refer to you, could you give me a tip to retrieve the camera and do you have a firmware compatible with the camera ? I'd try C-Tx and C-Rx first, then Rx and Tx allways in relation to gnd. It would be easier if you have an oscilloscope. Initially I would just connect the input of my serial port sequentially to the four pins and see if there is any "intelligible" output. Beware that this is 3V3 Logic, so you need a converter (RS232 or USB whatever you have). I will test Saturday when I will receive the USB - TTL adapter. I have no oscilloscope does this risk anything if I try to connect the adapter directly to C- RX , C-TX and GND ? The 3.3V are supplied by the USB port on the computer ? If I could retrieve an oscilloscope what should I do with it? can you explain me? 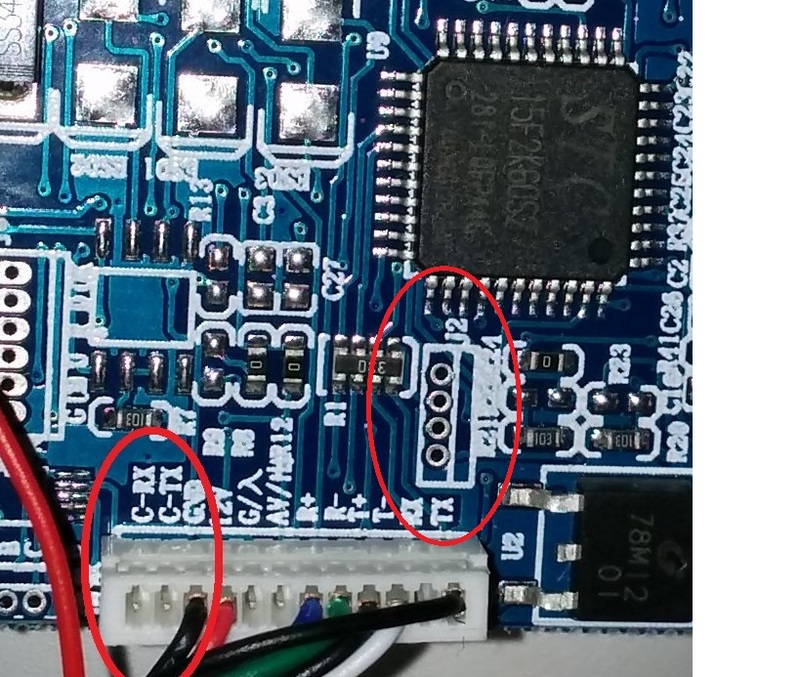 no, in general there is no risk involved connecting the input of the serial2usb converter to any pin, except ones with more than 3V3 (logic) level, but that would most probably only damage your converter. You only connect gnd, Tx and Rx, 3V3 will not be connected at all. The cam has its own 3V3 supply as has the converter. The oscilloscope would just have made it easier to find "output" pins.. I connected my converter on cr-x, c-tx and gnd, but nothing. If I remove the GND I have some thing putty or tera term but it is unreadable with unknown symbols. Do you have an idea ? Is this C-C-RX and TX where I have to plug my USB-TTL adapter? Does someone can help me to correctly connect my adapter? 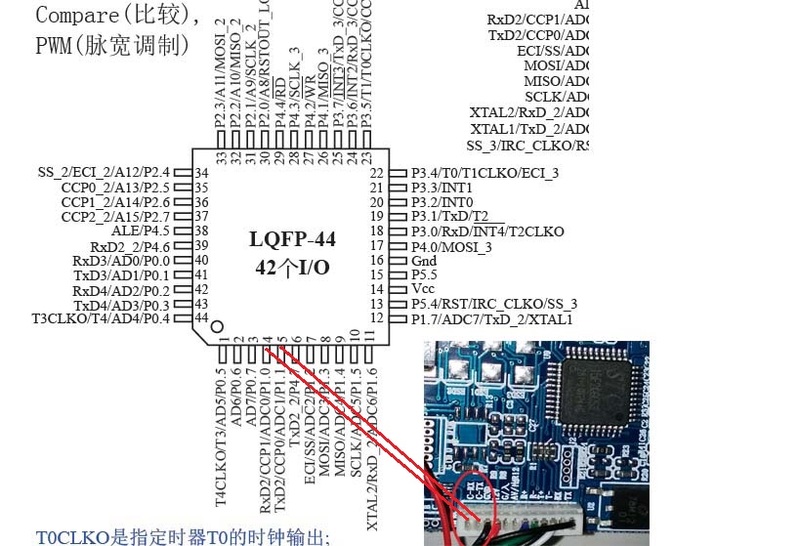 I managed to communicate with the microcontroller STC15F2K60S2 at the jtag J2 use 5V by using the STC -ISP software. But I do not see the uboot in a putty or tera term, there is nothing . 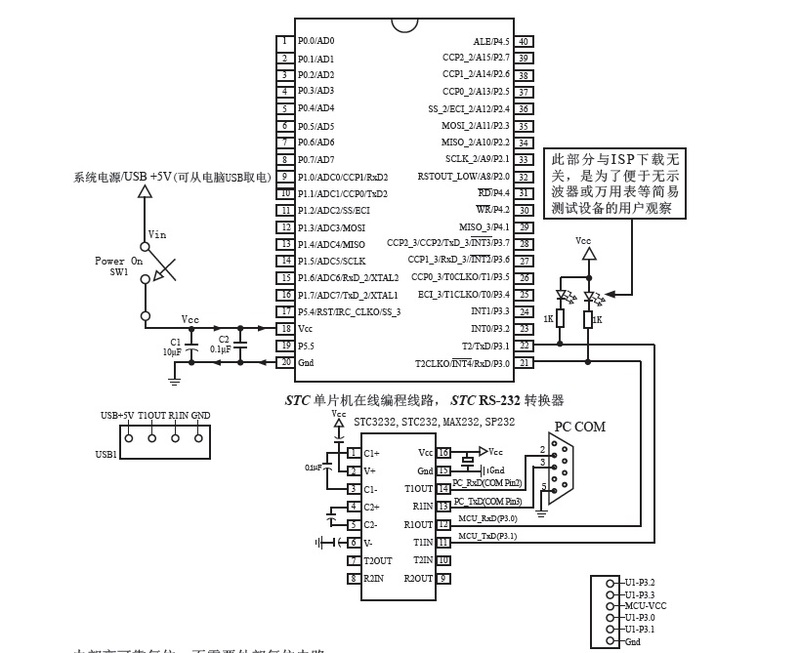 Is it possible that there is no bootloader in this microcontroller ?